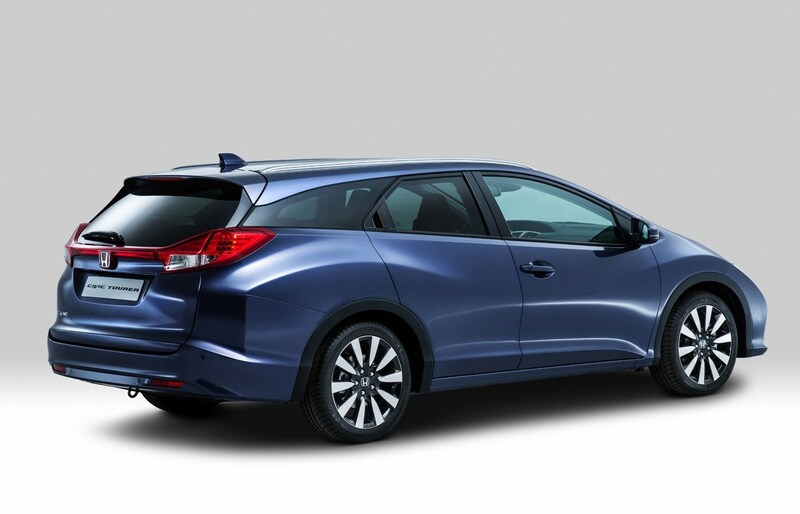 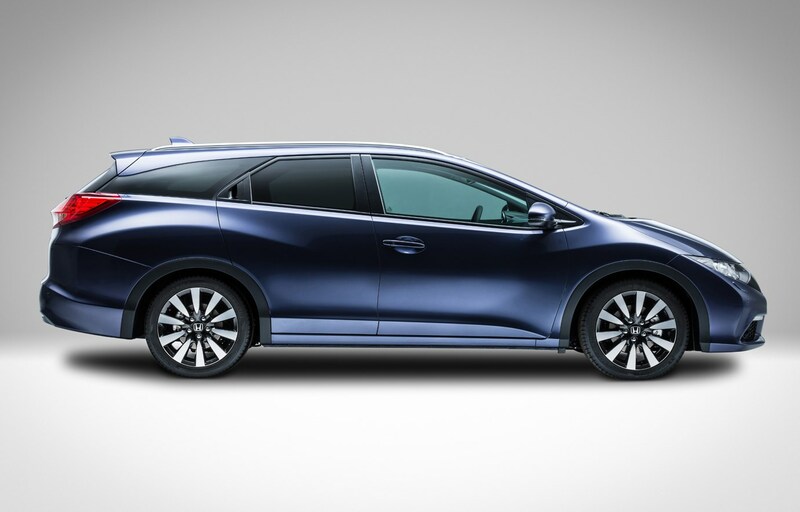 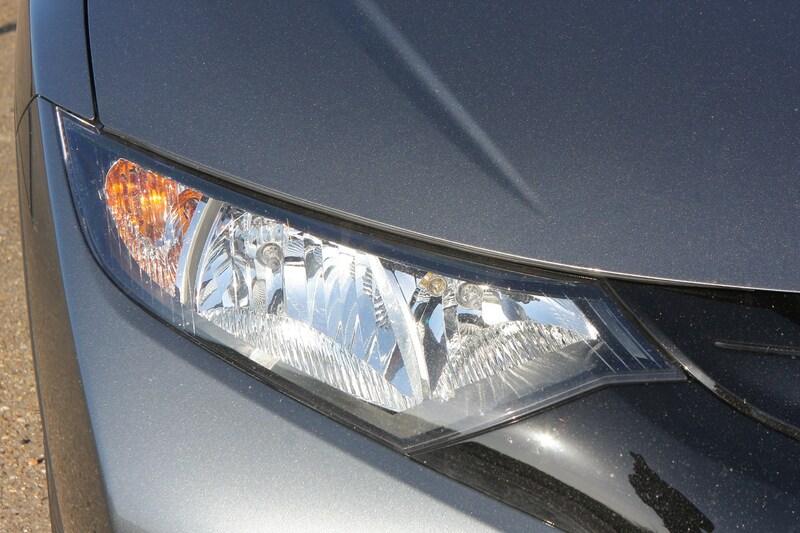 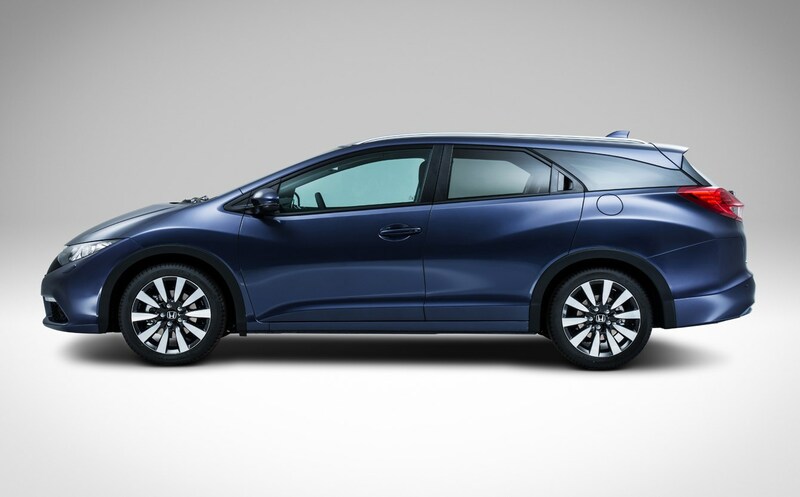 The Honda Civic Tourer is the estate version of the capable five-door Civic hatchback. 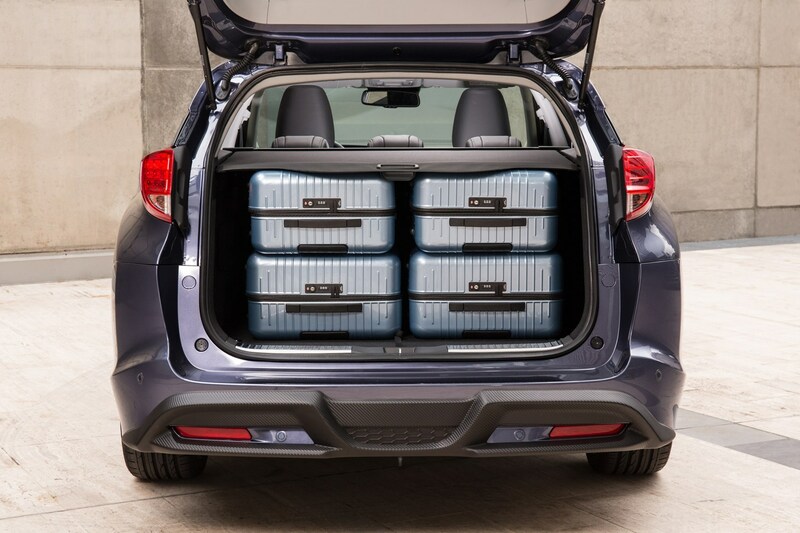 It’s relatively small on the outside – the same width and wheelbase as the regular hatch and a scant 235mm longer – but can lug an extra 147 litres of luggage. 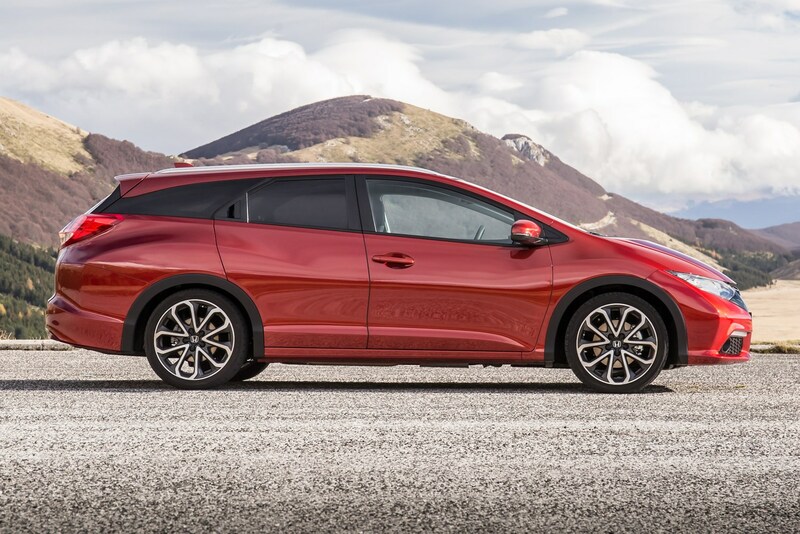 From launch it is priced at approximately £1,000 more than the regular five-door Civic hatchback and enters a competitive market against other hatch-based estates such as the SEAT Leon ST, Ford Focus estate, Vauxhall Astra Tourer and Toyota Auris Touring Sports. 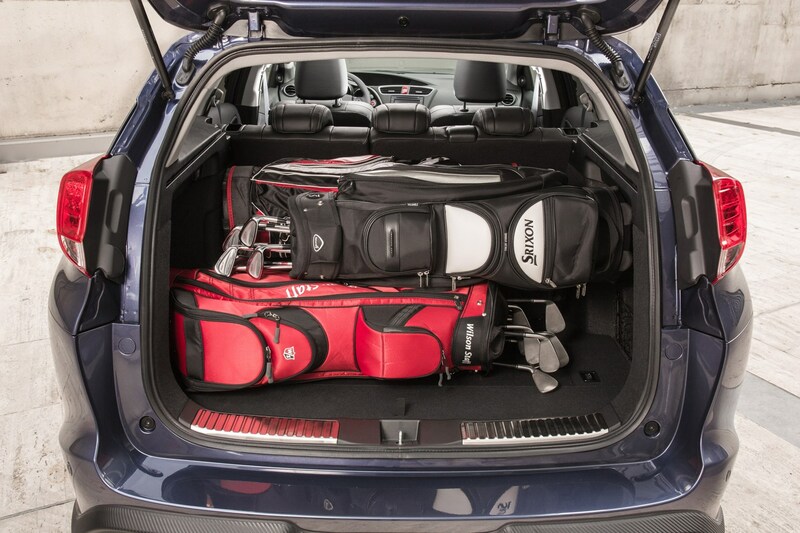 Although it’s not all that much longer than the hatchback model, boot capacity is the Civic Tourer’s real strength. 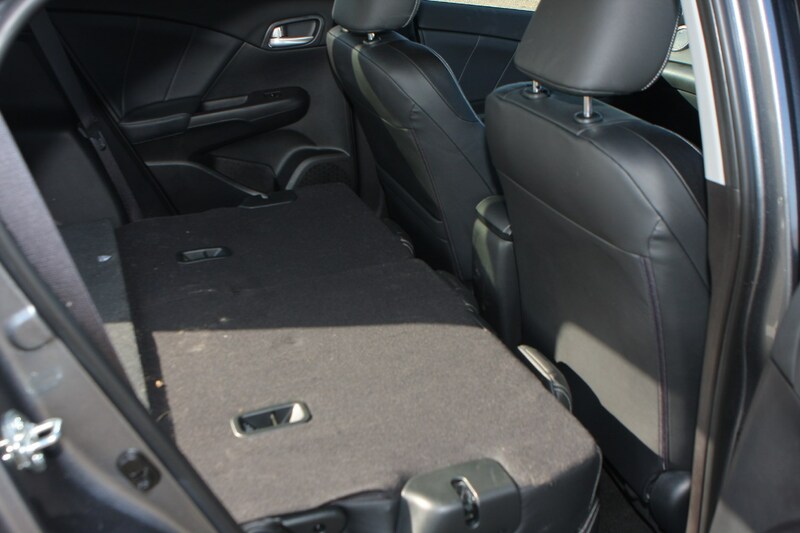 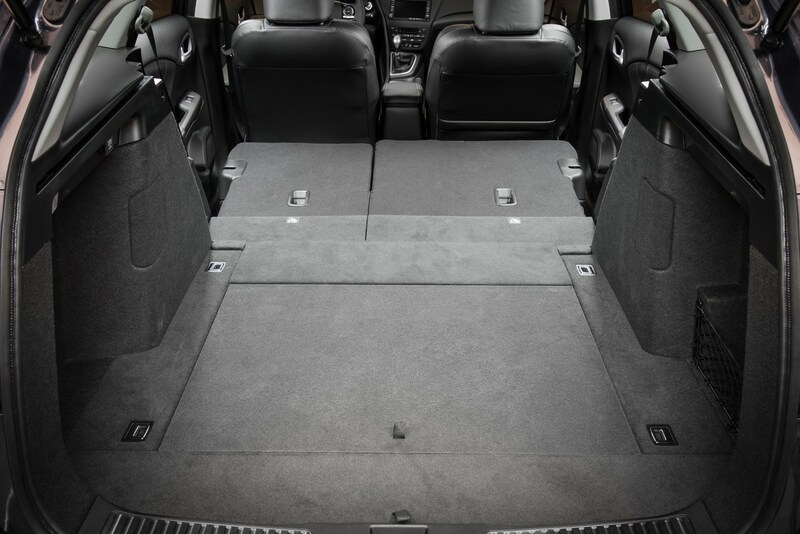 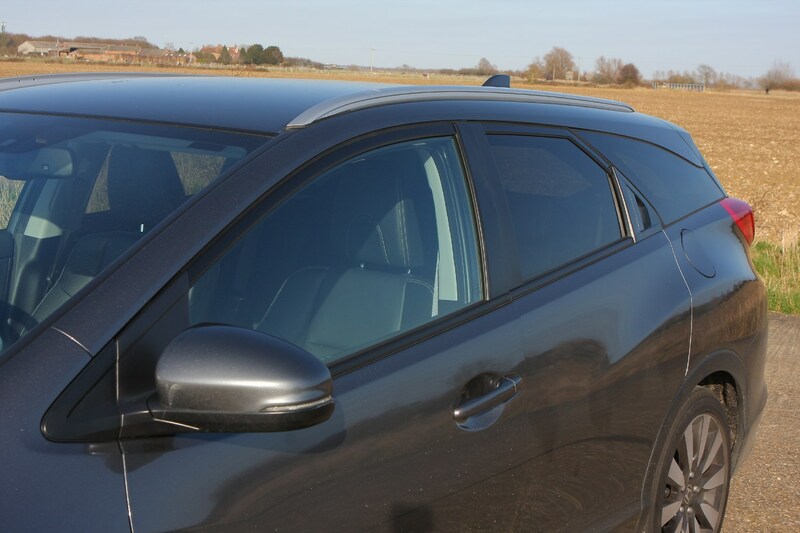 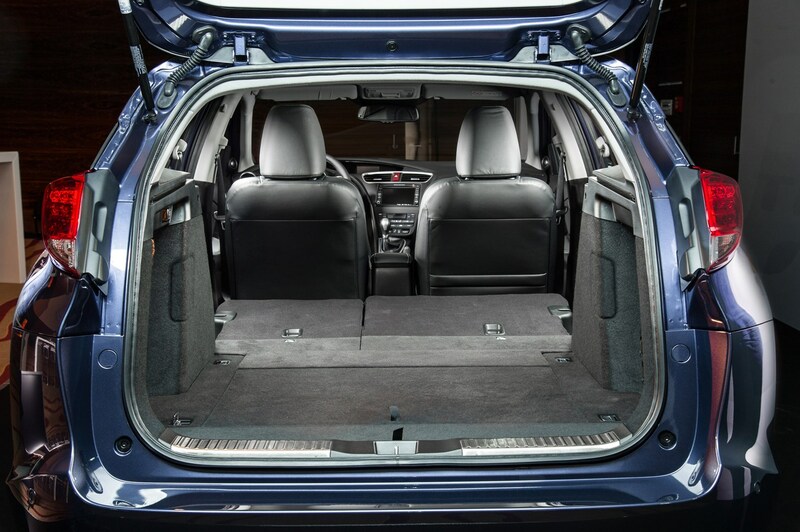 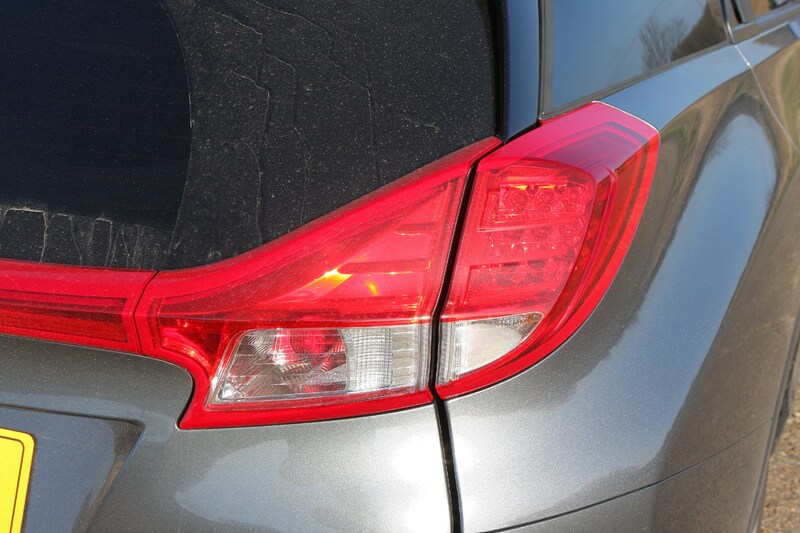 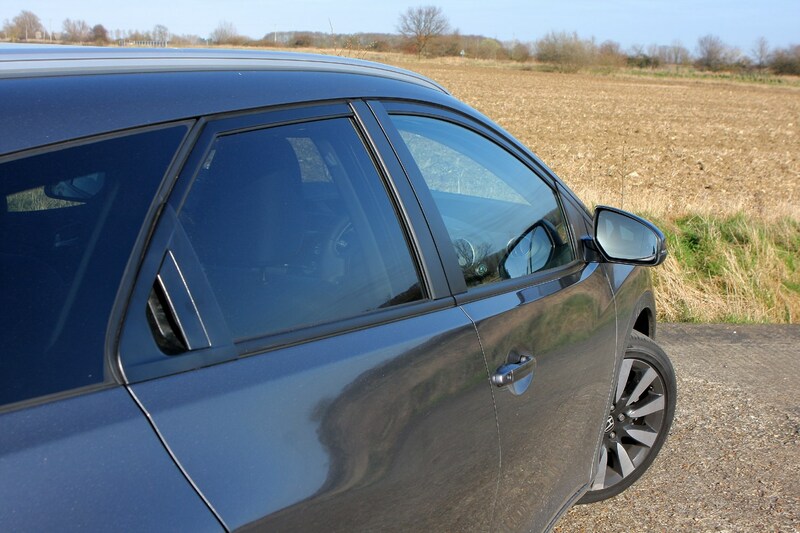 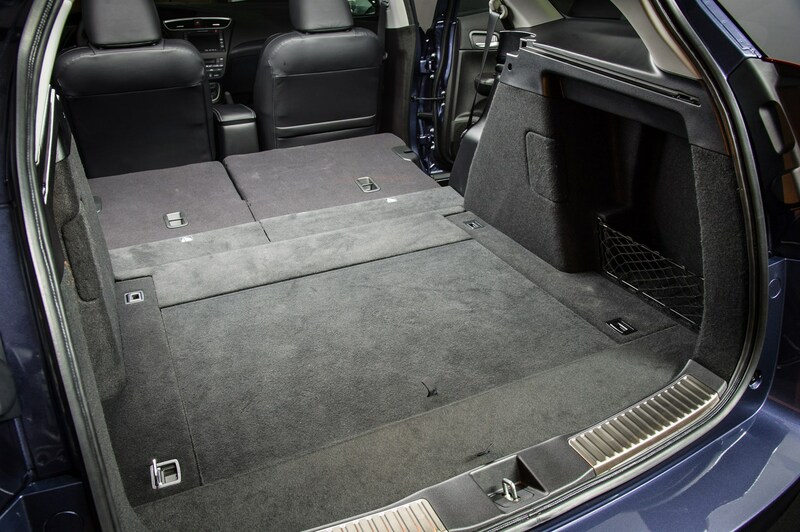 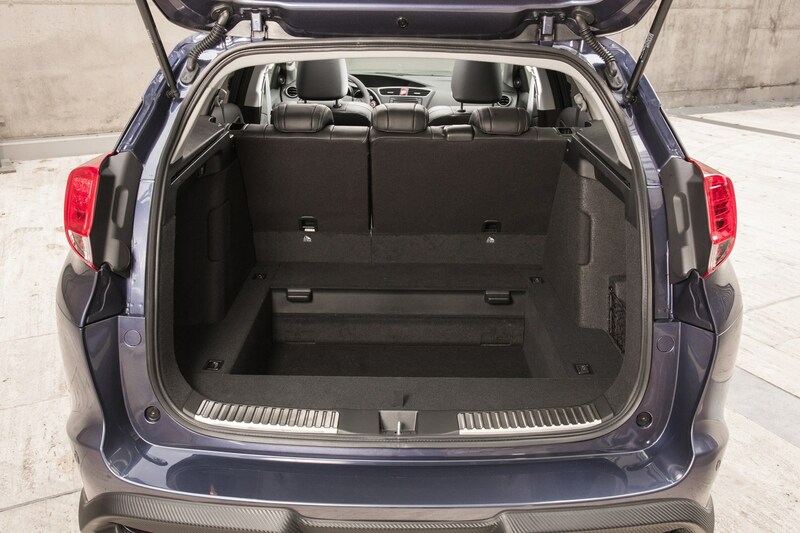 Official boot volume is a very generous 624 litres (to the window with the seats up) – by comparison the Vauxhall Astra Tourer’s official capacity is 500 litres and the Ford Focus Estate 476 litres. 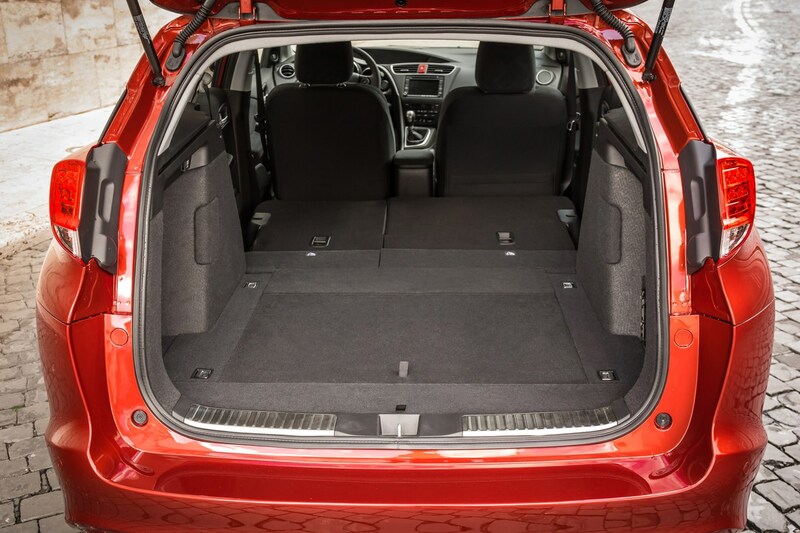 With the seats down, luggage capacity increases to 1,668 litres (measured to the roofline). 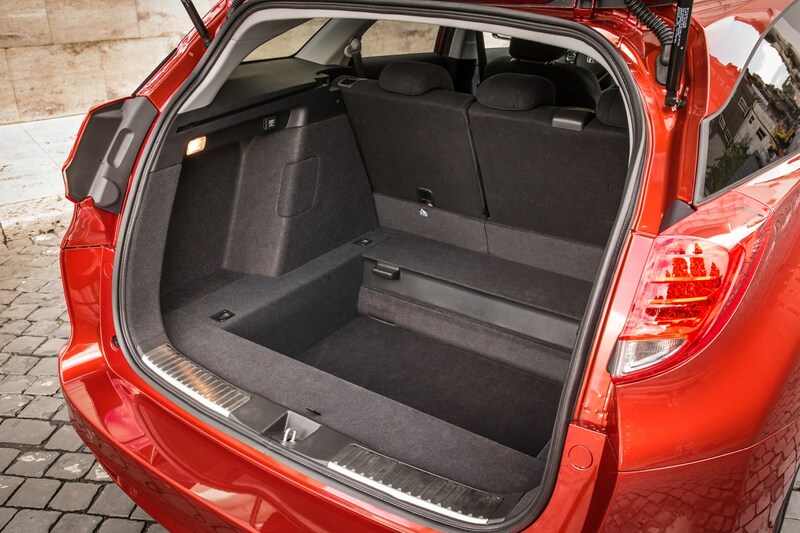 That figure includes a large hidden compartment under the boot floor offering nearly 120 litres, enough space for two decent sized travel bags to be stowed out of sight. 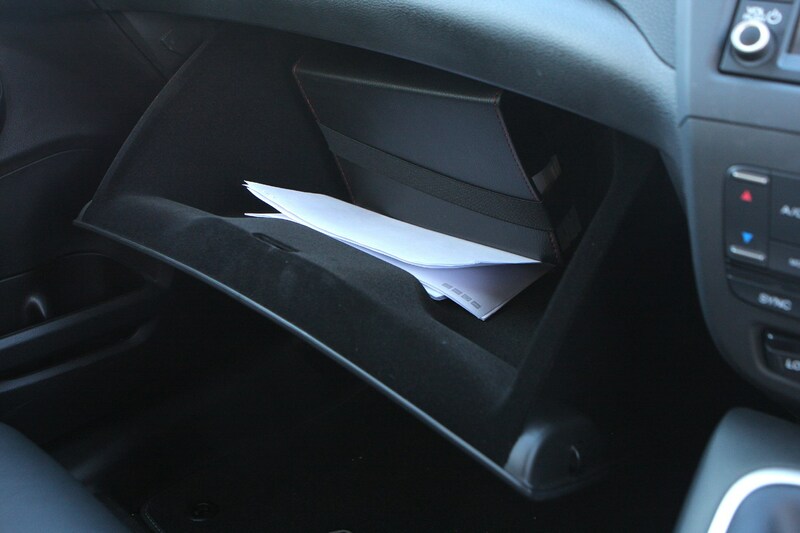 That compartment disappears if you select the option of a spare wheel, however. 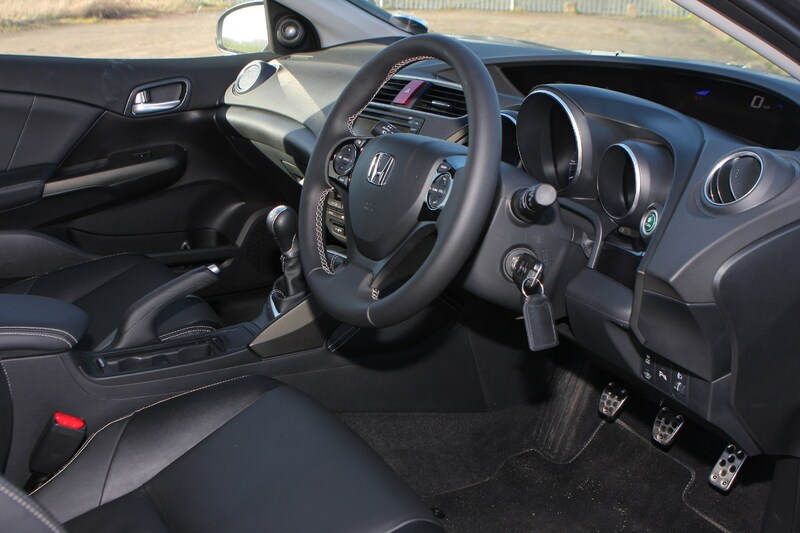 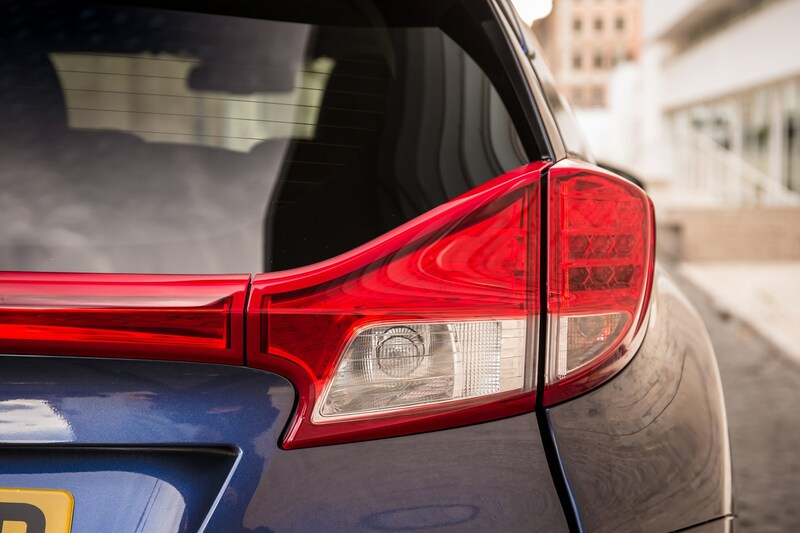 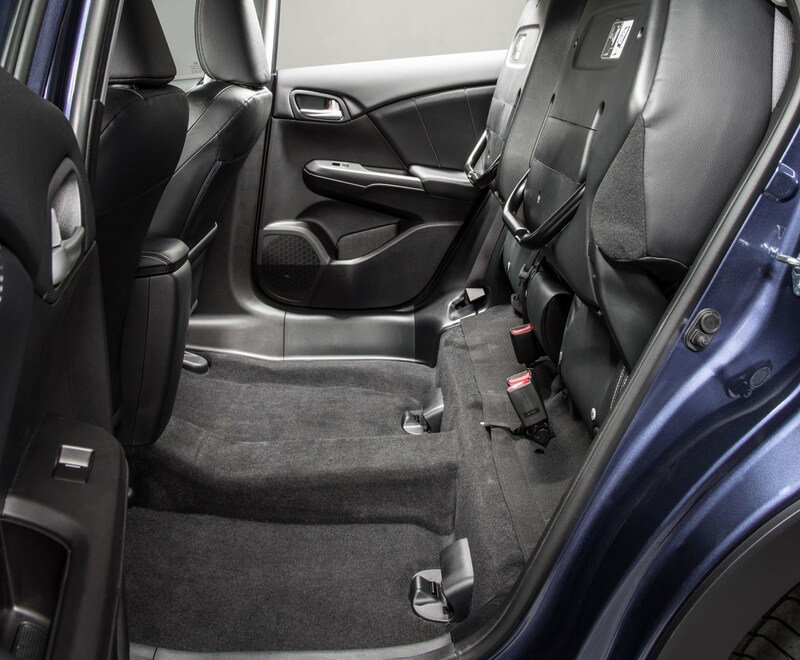 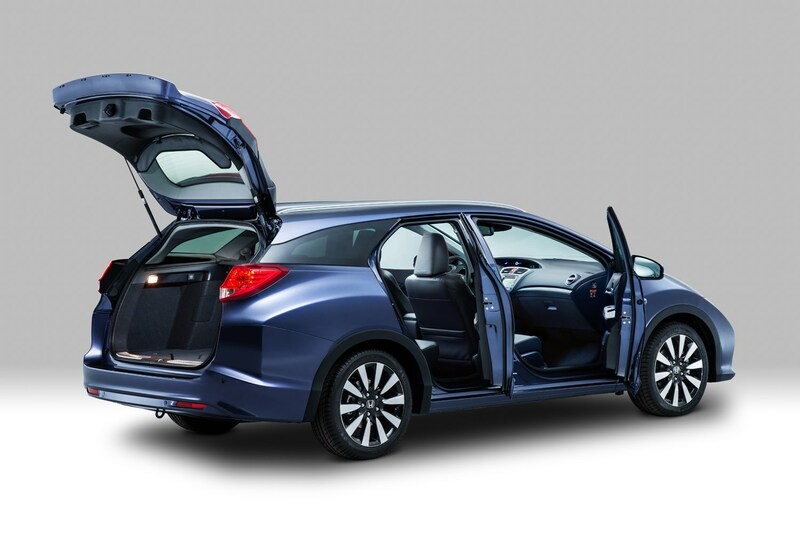 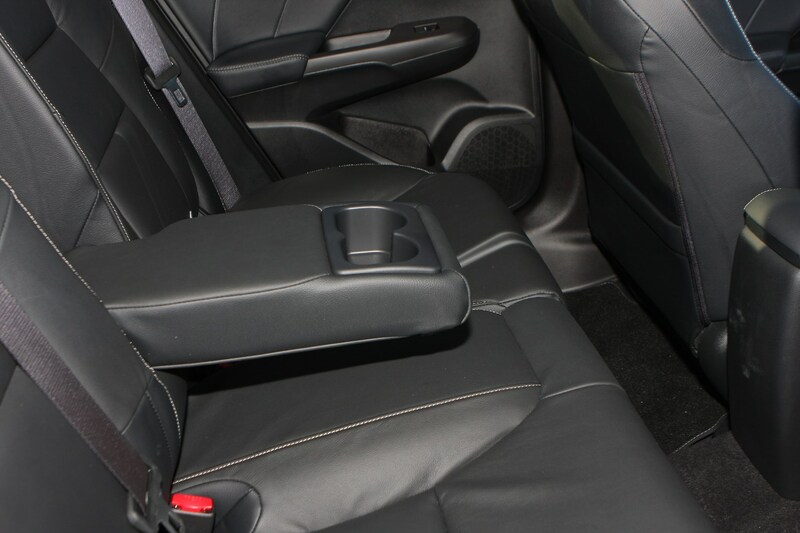 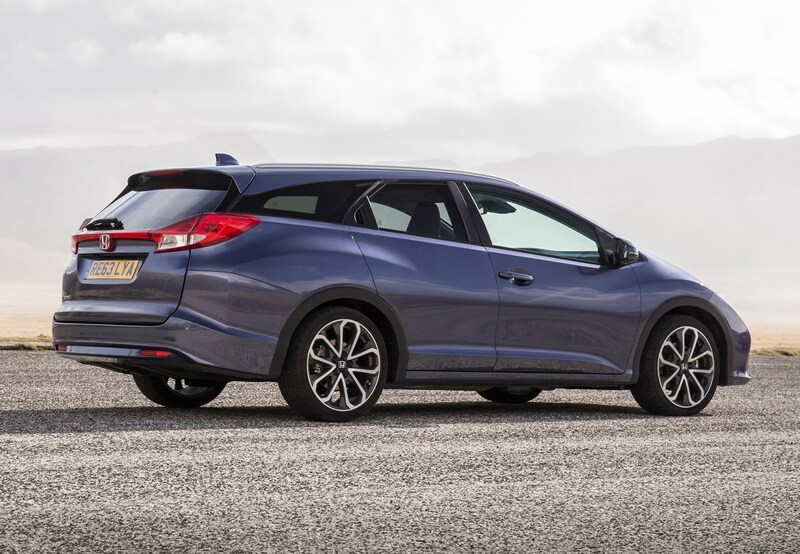 Like the hatchback, the Civic Tourer features Honda’s clever ‘magic seats’ with the ability to fold the rear seat bases upwards and lock them in position. 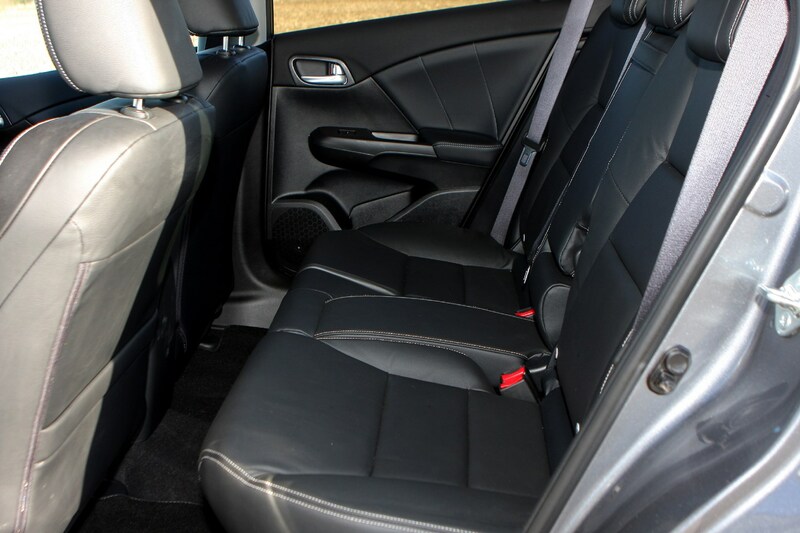 With the 60:40-split seat backs folded downwards there’s a completely flat load area and a load length close to 1.8m. 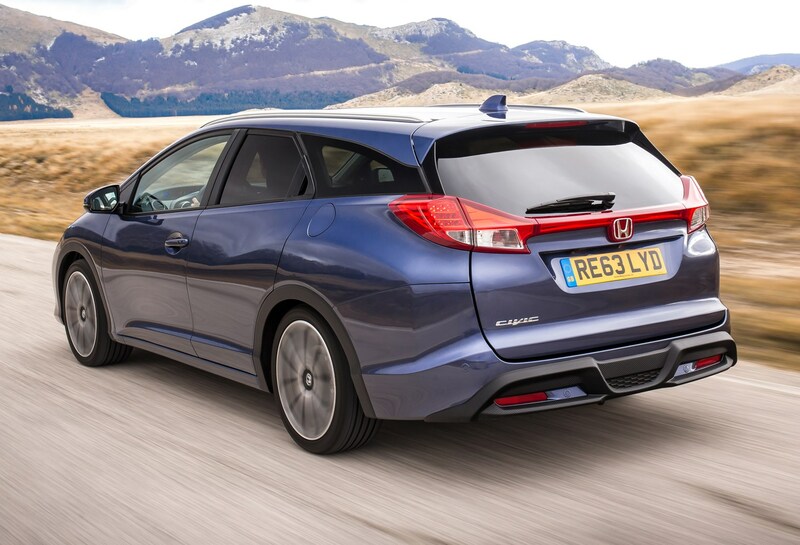 A clever bit of kit that’s unique to the Civic Tourer is an adaptive damping suspension system. 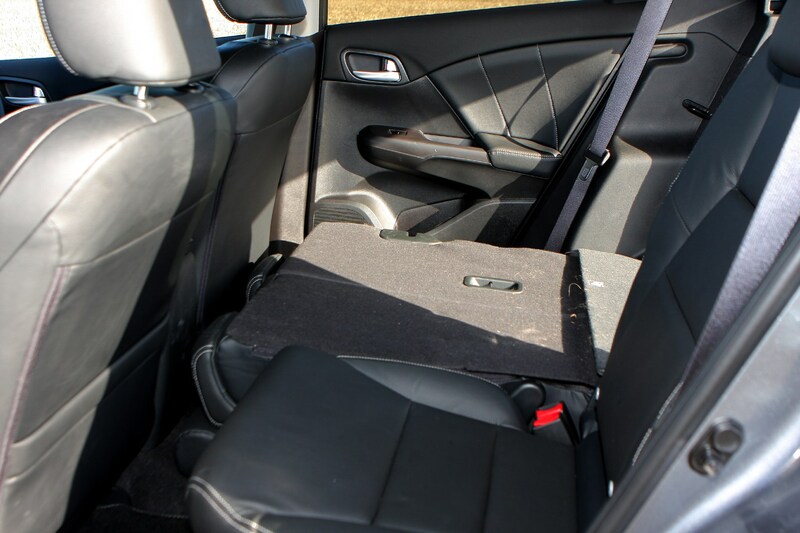 Fitted to the rear axle only, it’s designed to increase ride comfort by compensating for heavy loads carried in the car (or external loads such as bike racks or trailers). 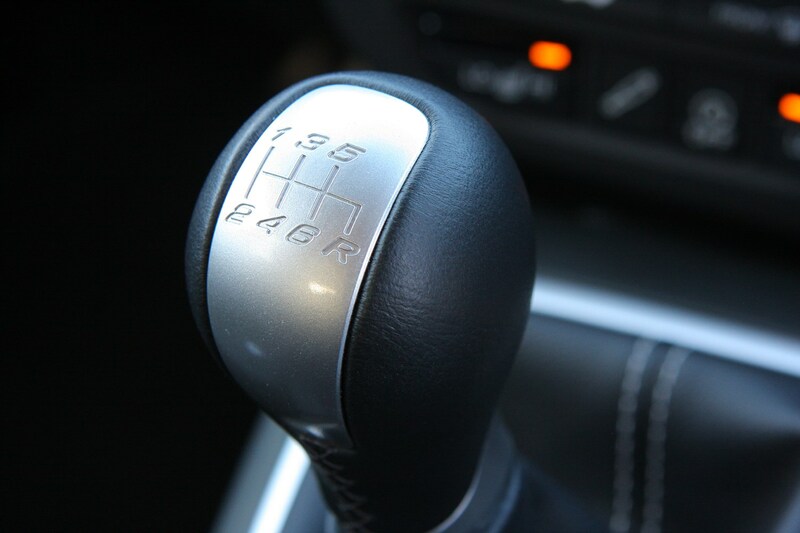 It also improves stability while cornering. 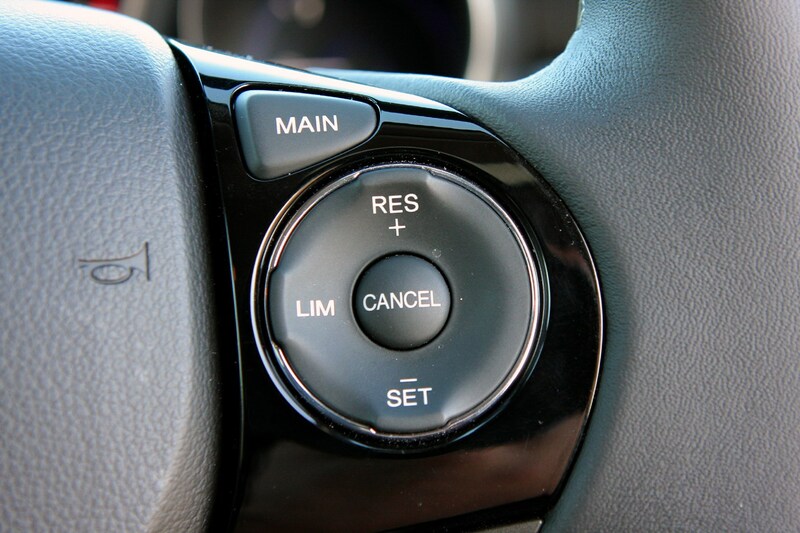 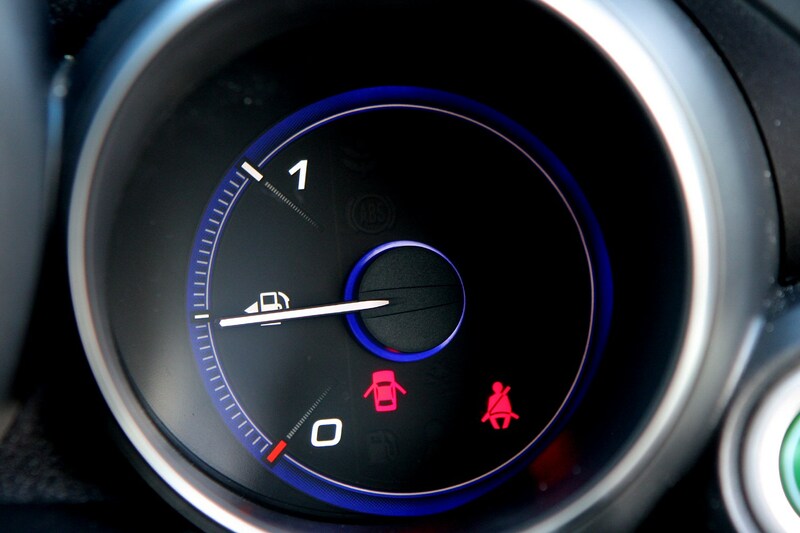 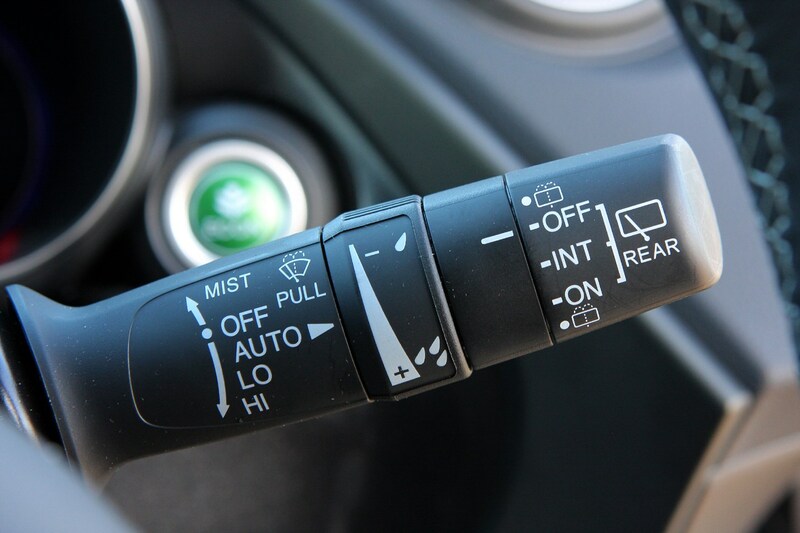 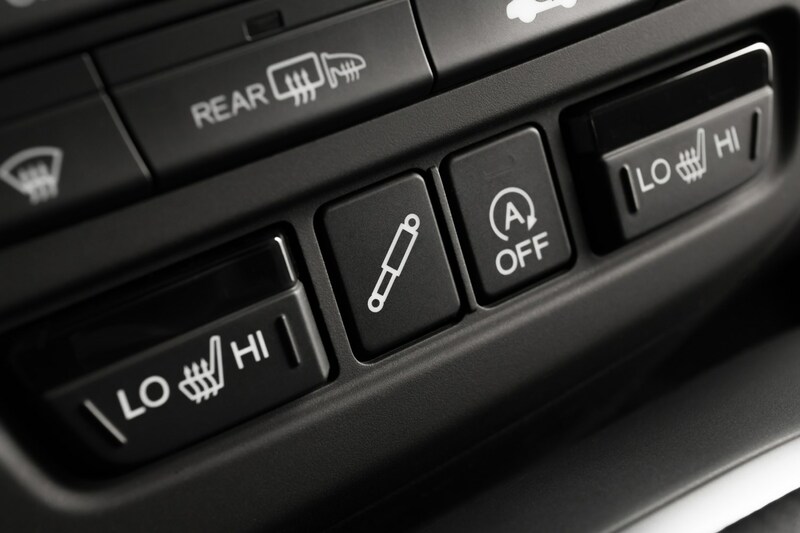 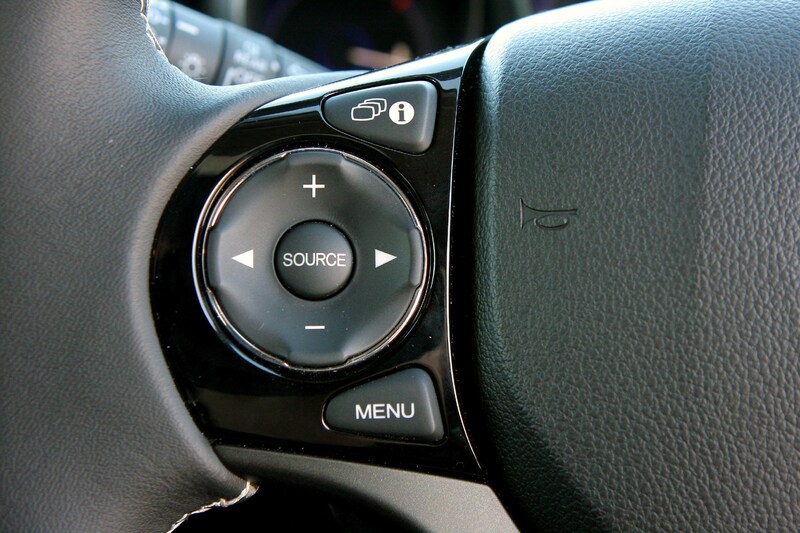 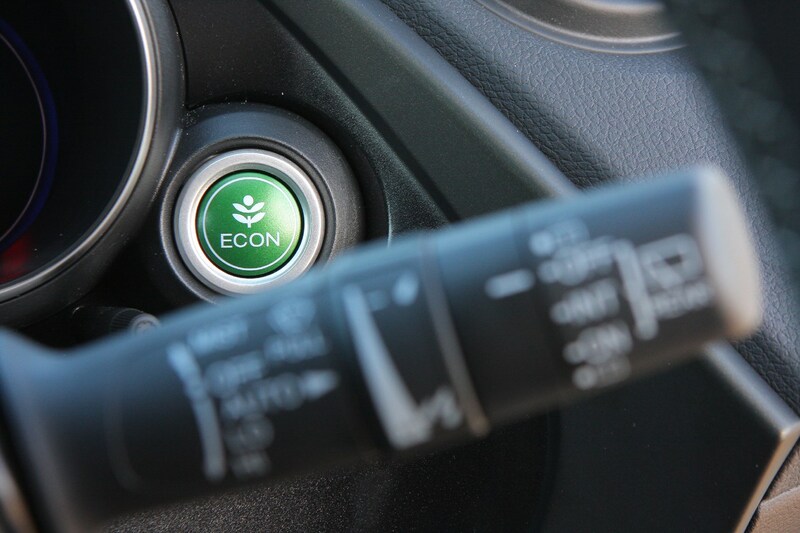 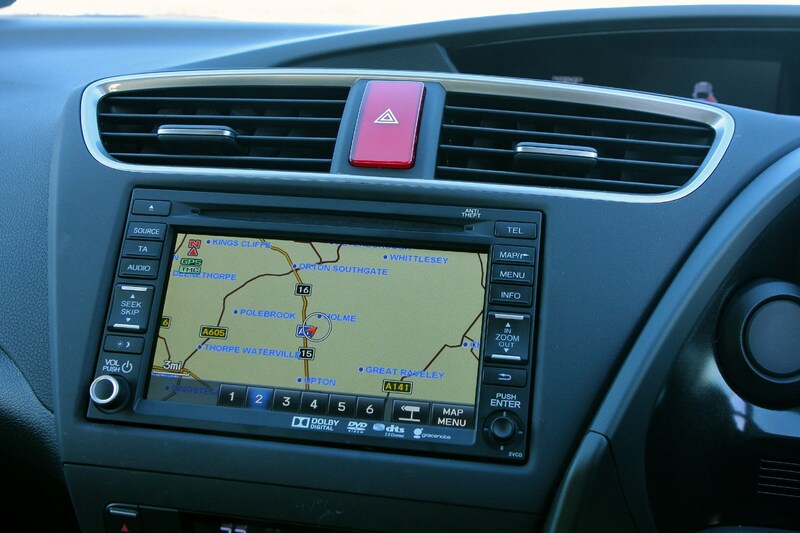 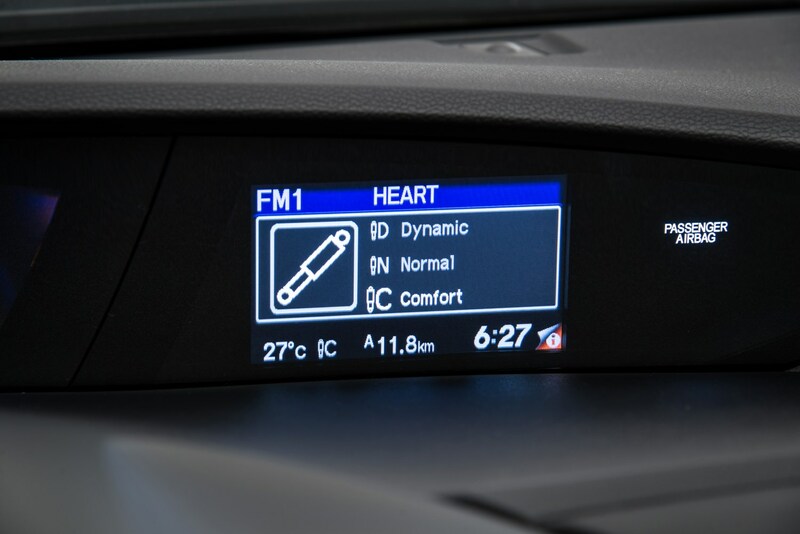 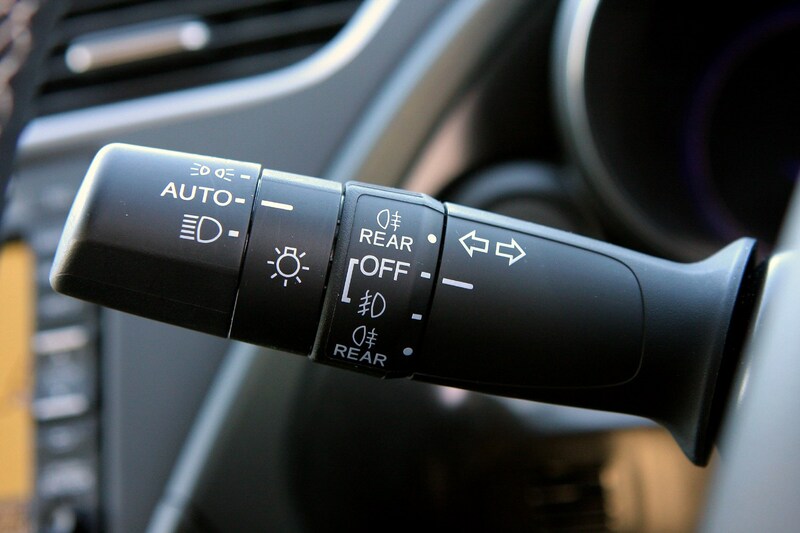 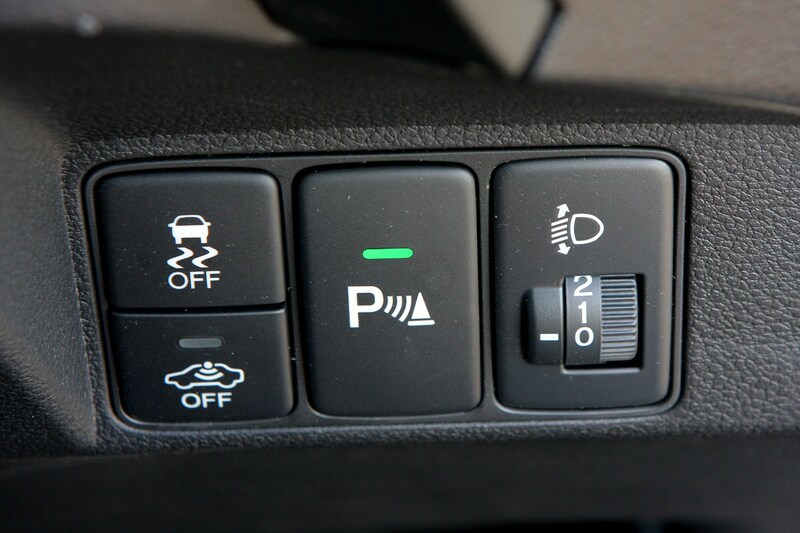 A switch on the centre console toggles the suspension between three modes: Dynamic, Normal and Comfort. 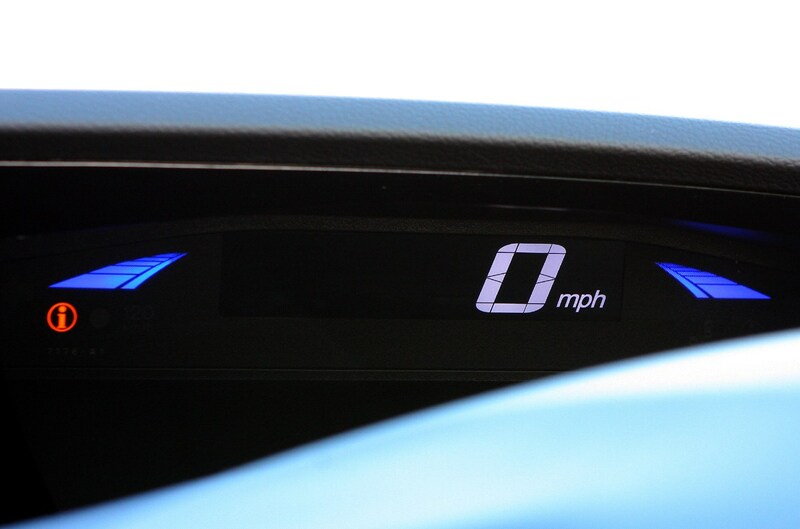 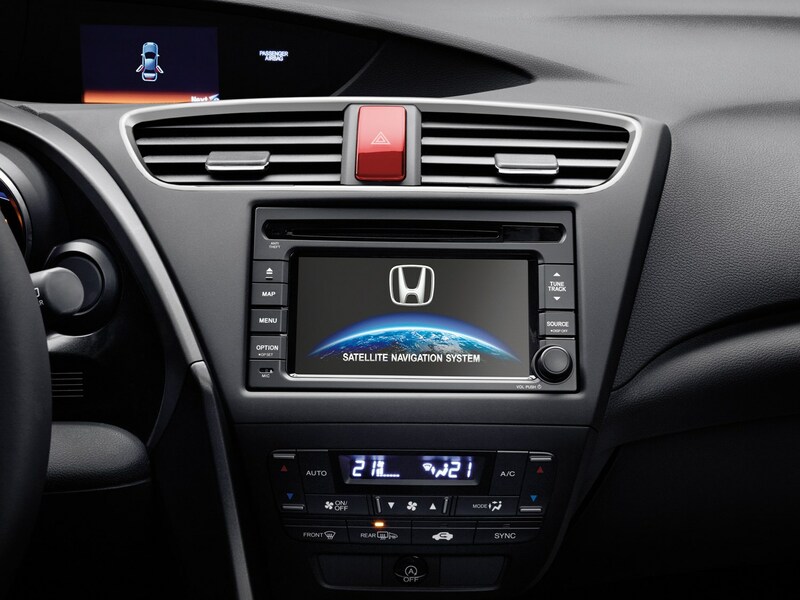 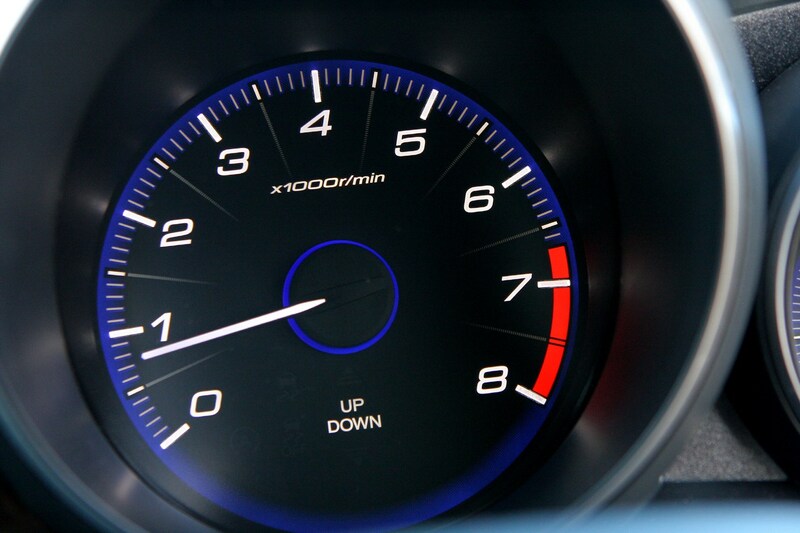 In all modes, the system keeps track of the car’s body movement, speed and steering input, among other factors, and increases or decreases damping force accordingly. 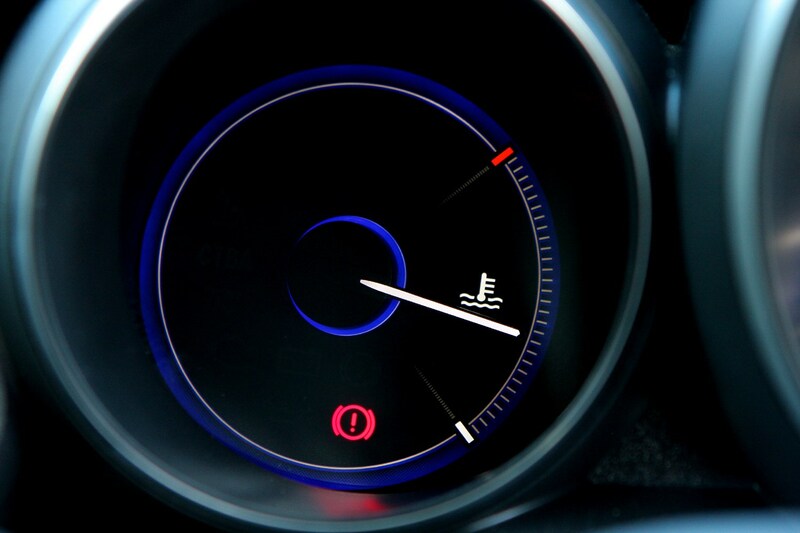 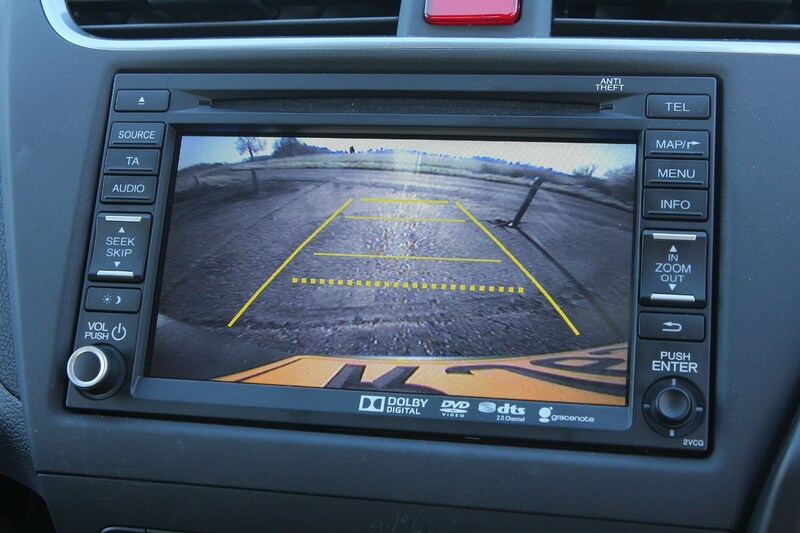 Essentially, when travelling in a straight line the system makes the ride as comfortable as possible and when cornering the damping force increases to keep the car stable. 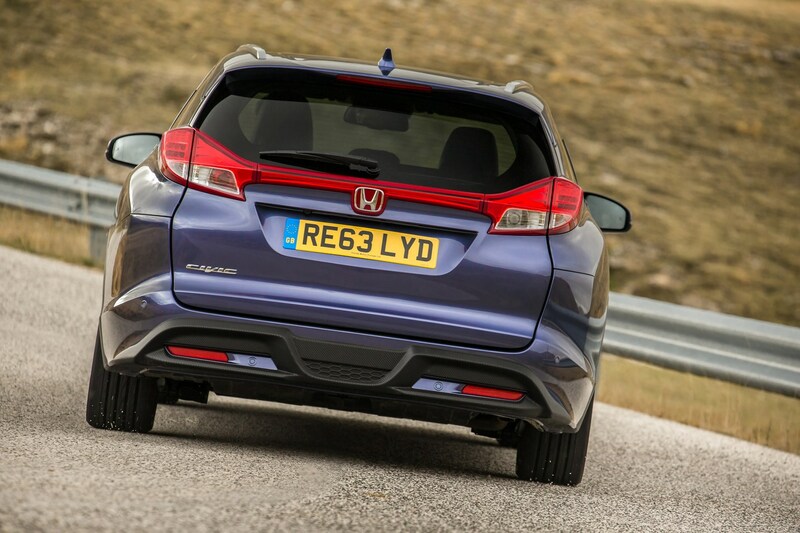 The adaptive dampers are used on the rear axle only rather than on all four wheels to save weight and power consumption, keep costs low and reduce impact on fuel economy. 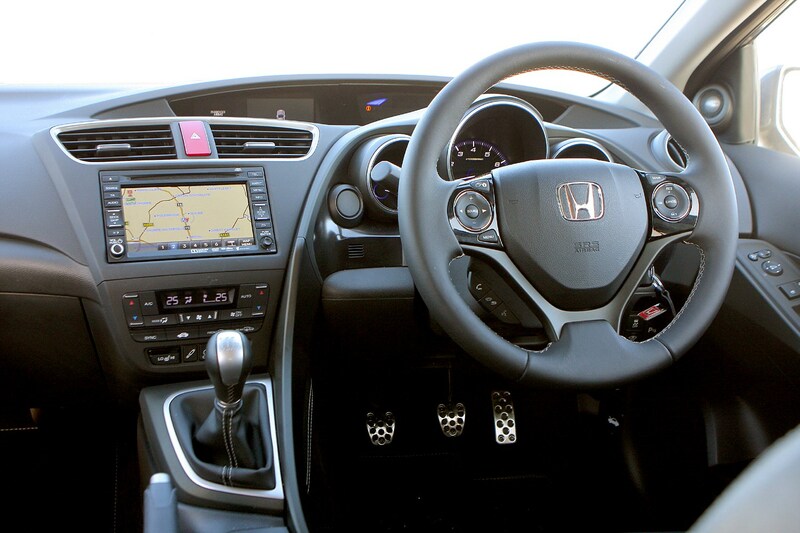 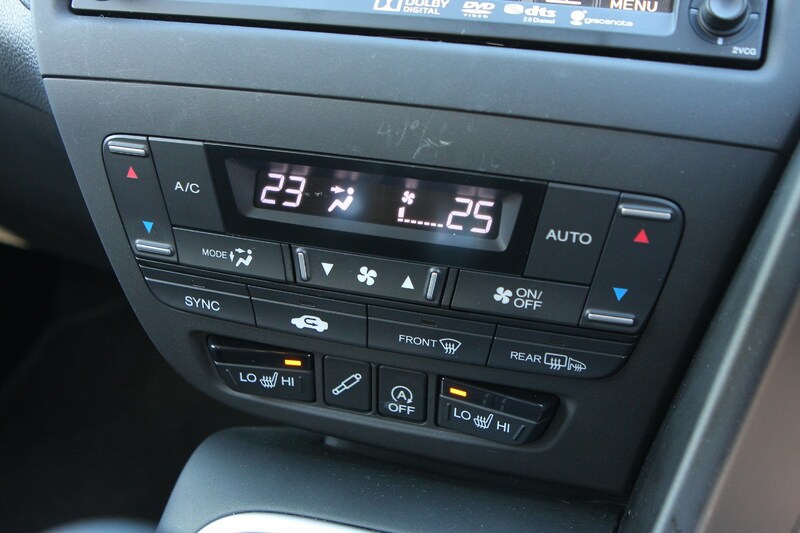 The system is standard on the top two trim levels only, SR and EX. 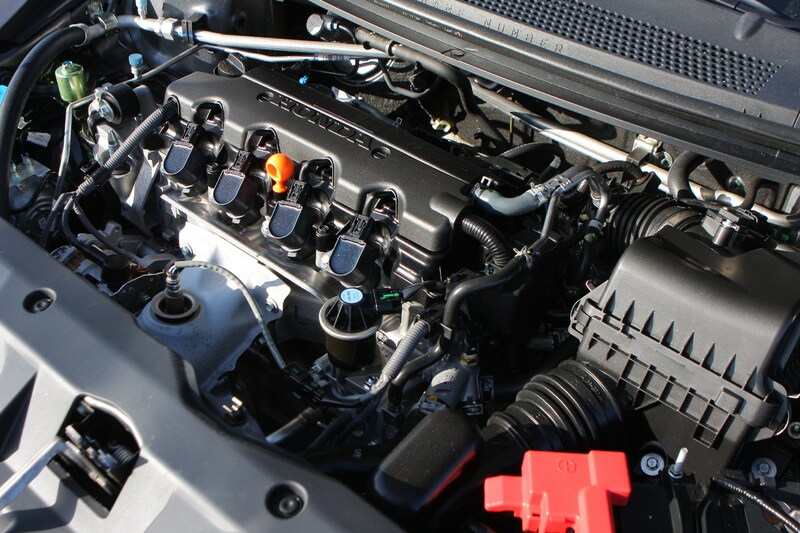 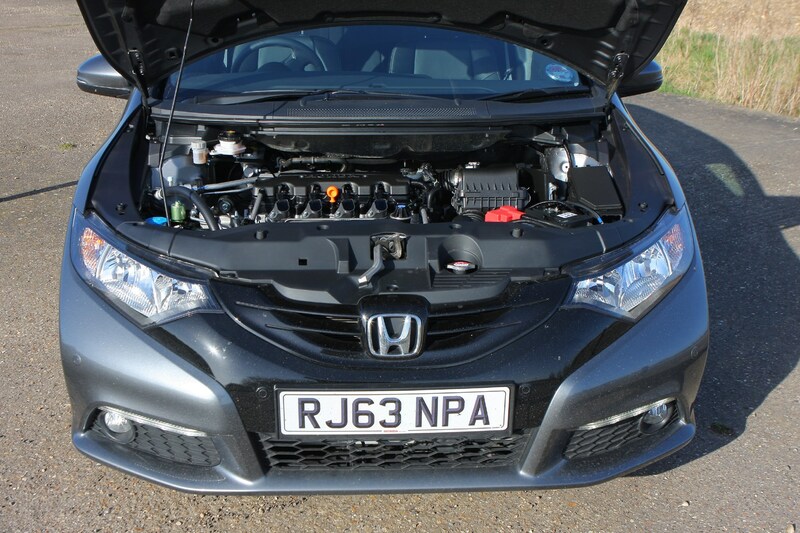 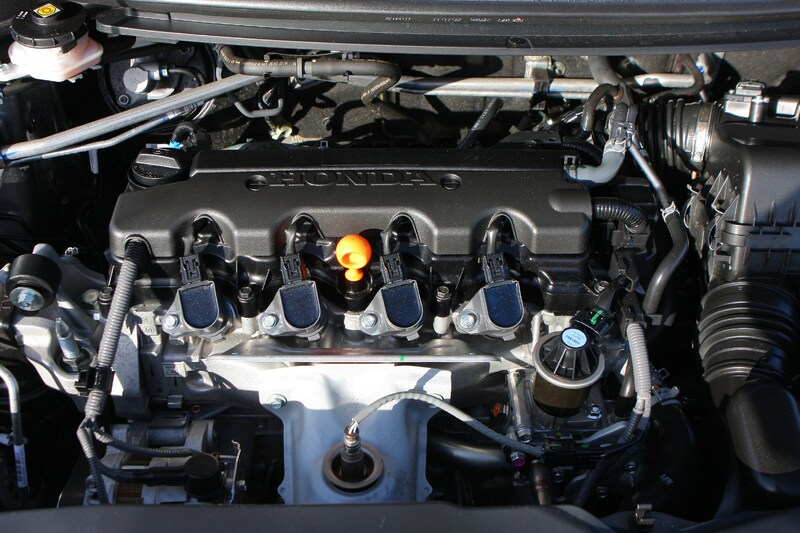 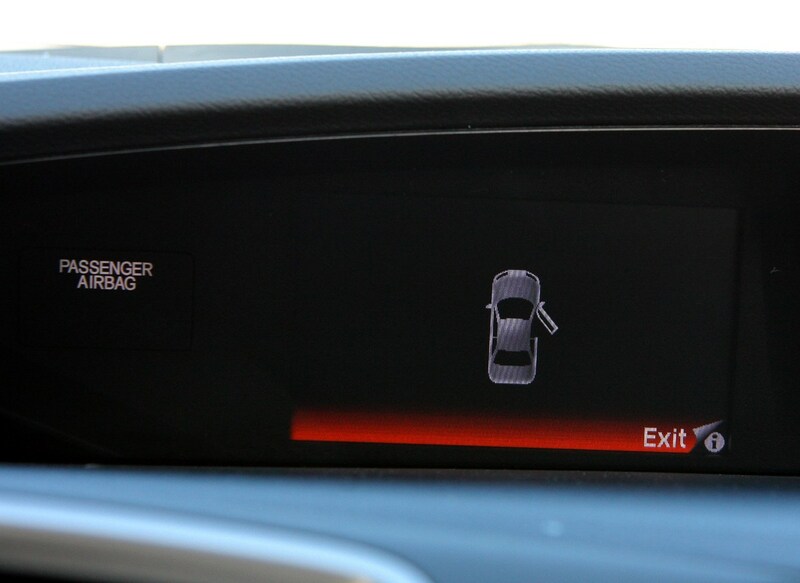 There are two engines available, both already familiar from the Civic hatchback. 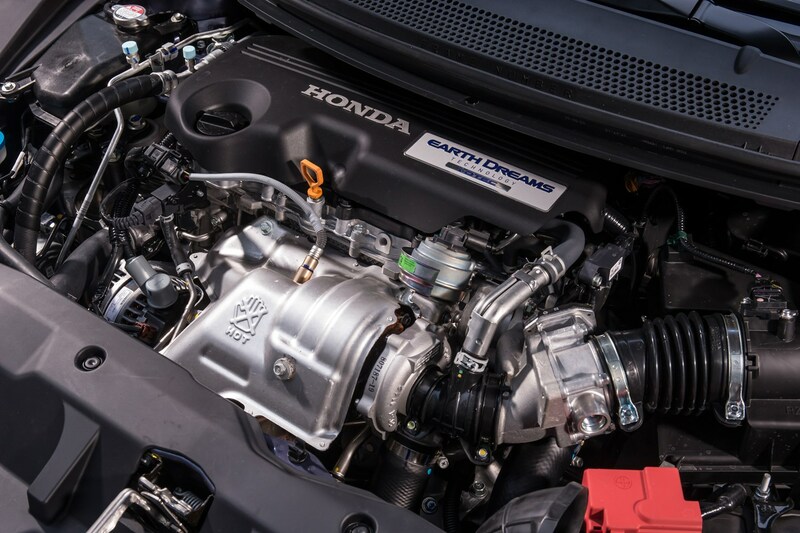 It’s a straightforward choice between petrol and diesel: Honda’s 1.6-litre i-DTEC diesel or 1.8-litre i-VTEC petrol engine. 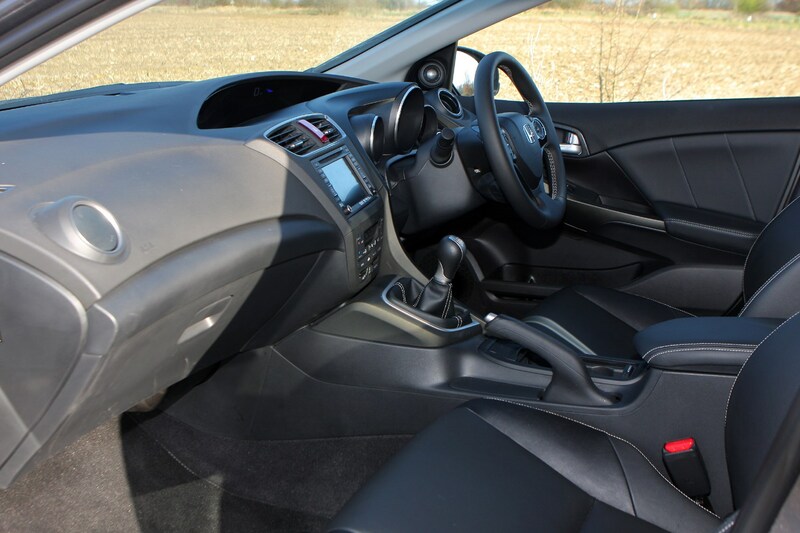 The diesel is available with a six-speed manual gearbox only, while the petrol can be paired with either a six-speed manual or five-speed auto. 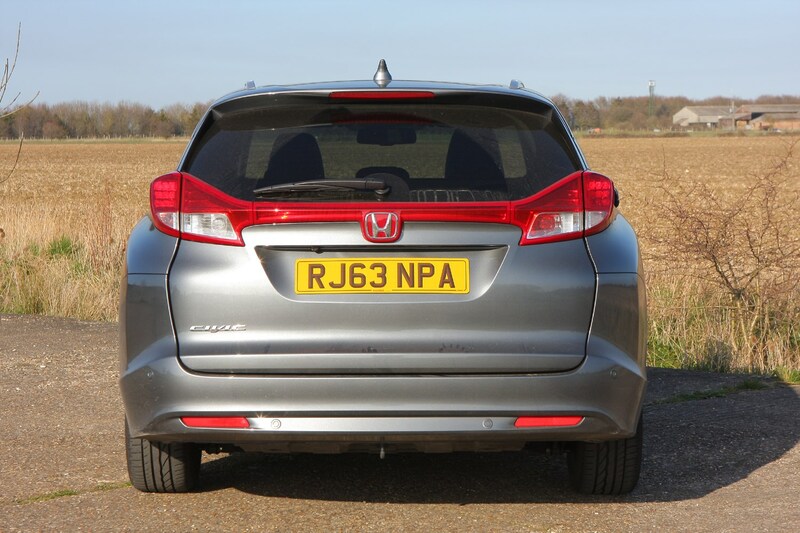 Due to the estate’s greater weight it isn’t quite as efficient as the hatch but it still offers very competitive fuel consumption and CO2 emission figures, the diesel in particular averaging a claimed 74mpg and emitting less than 100g/km of carbon dioxide. 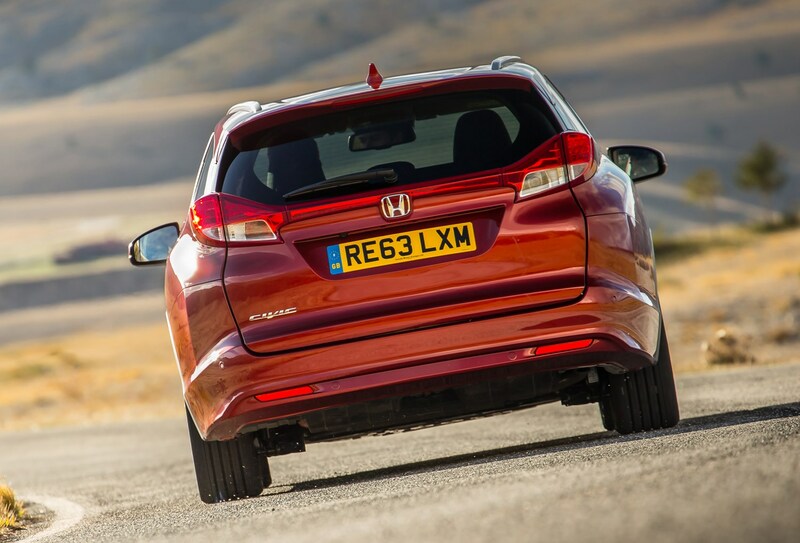 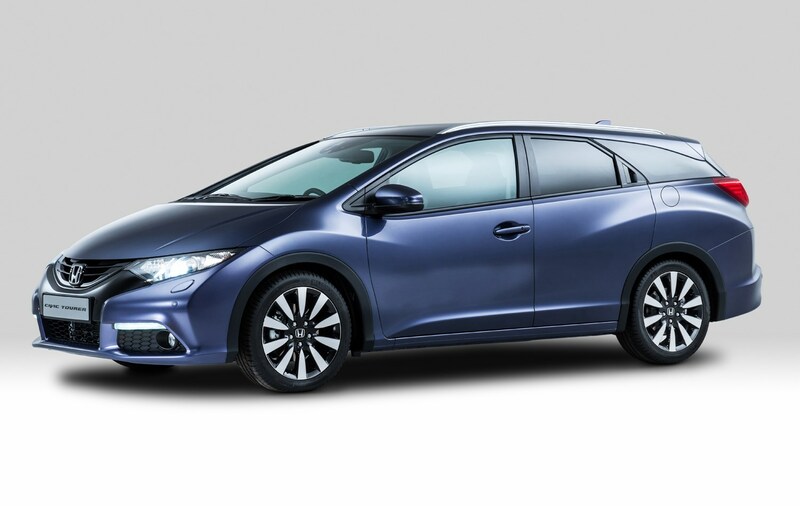 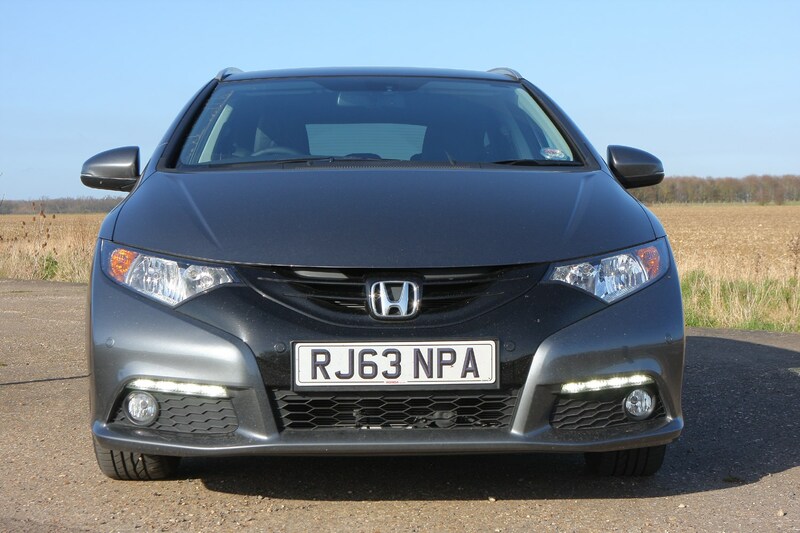 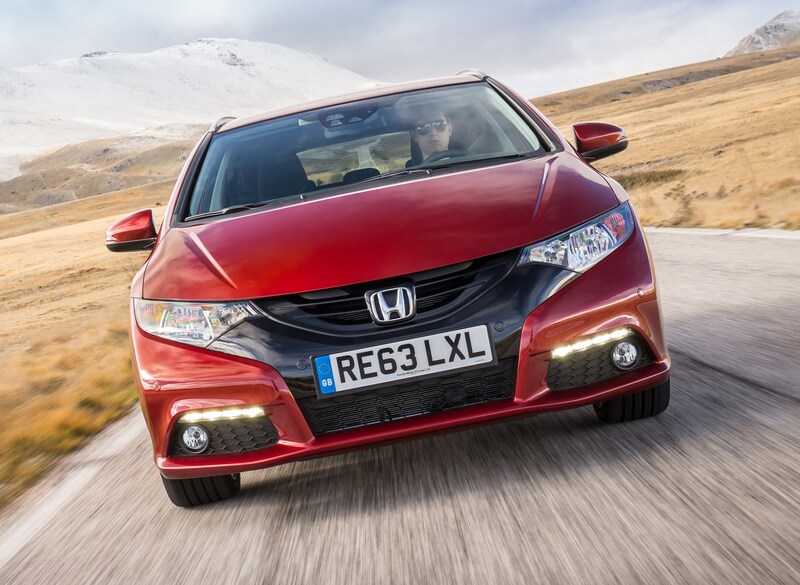 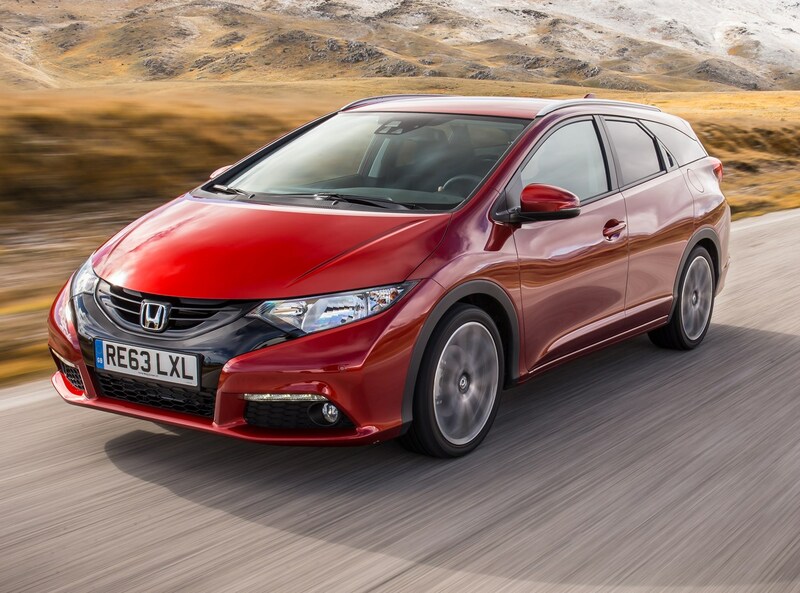 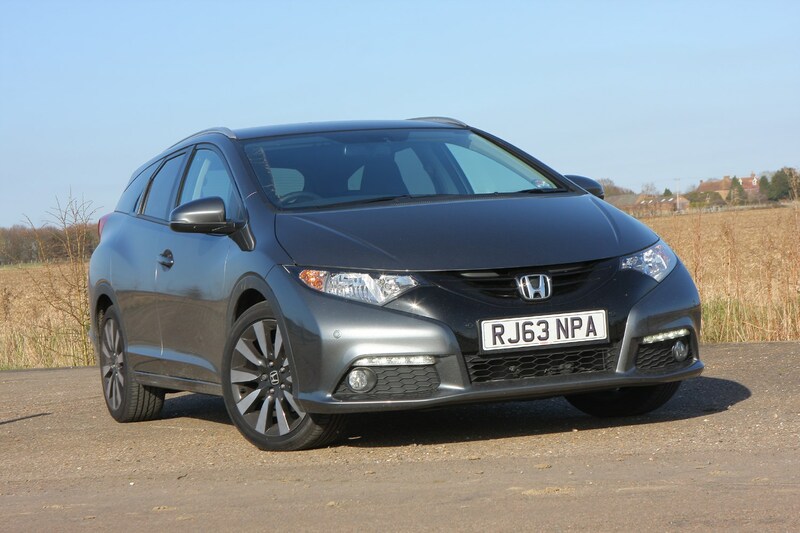 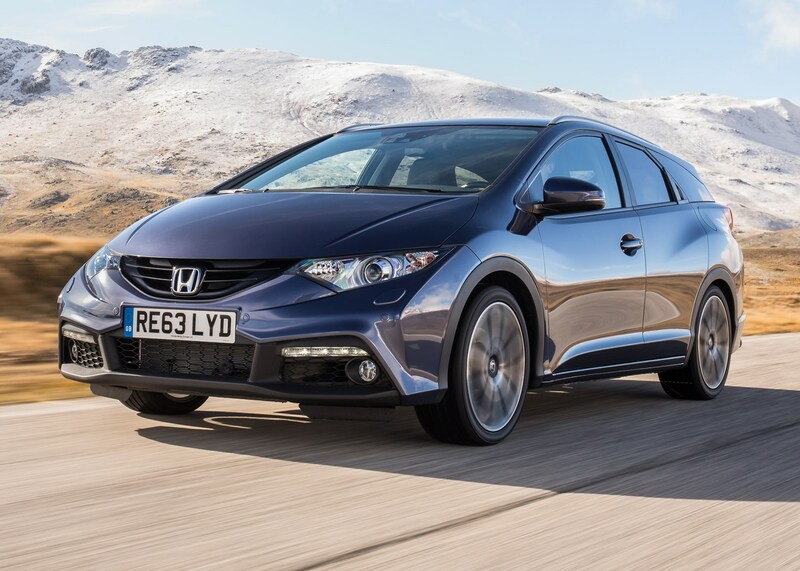 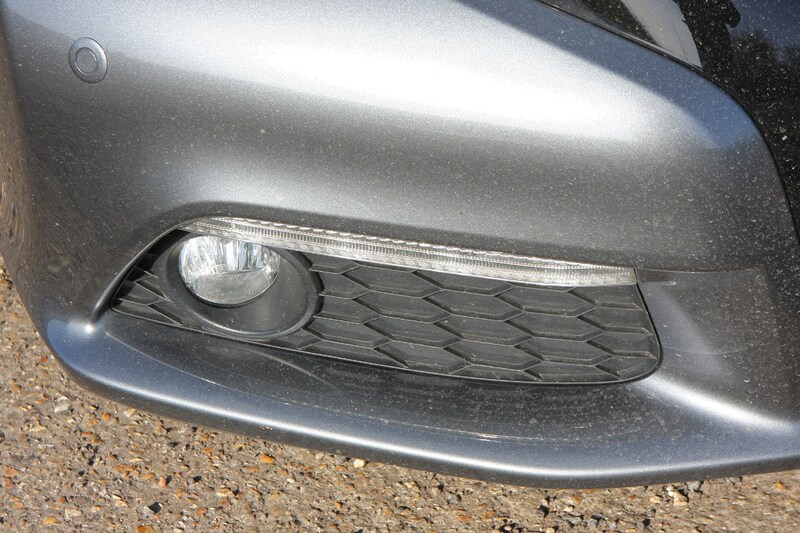 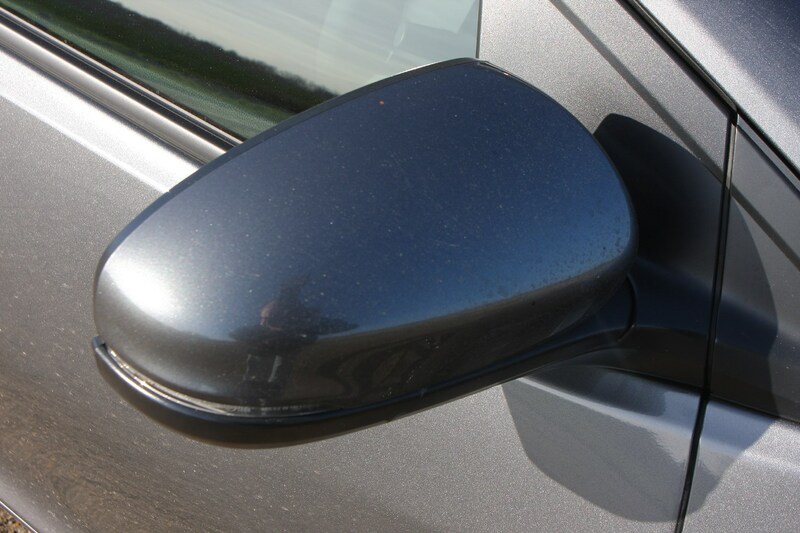 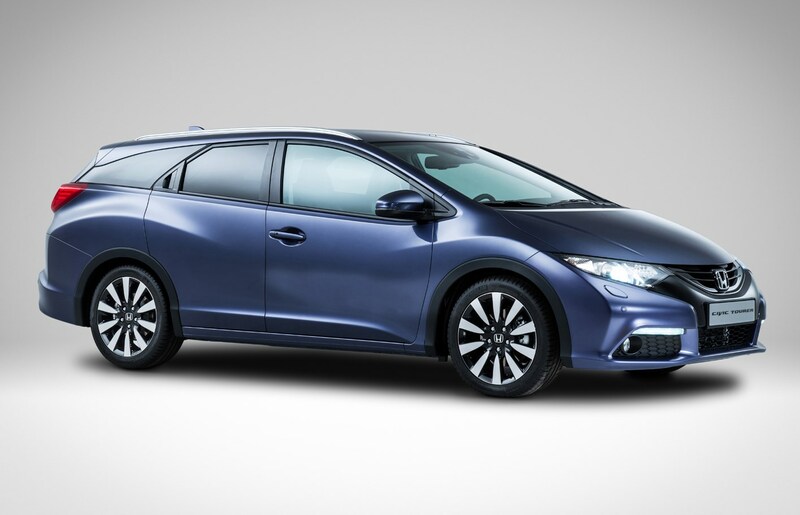 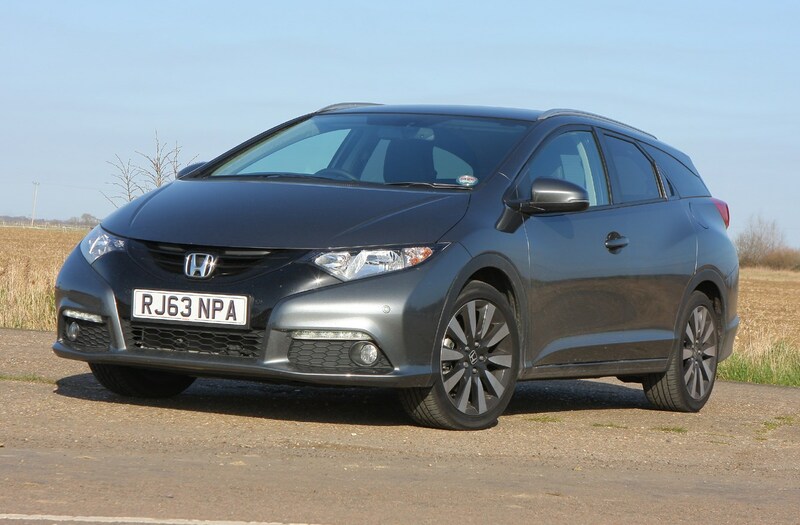 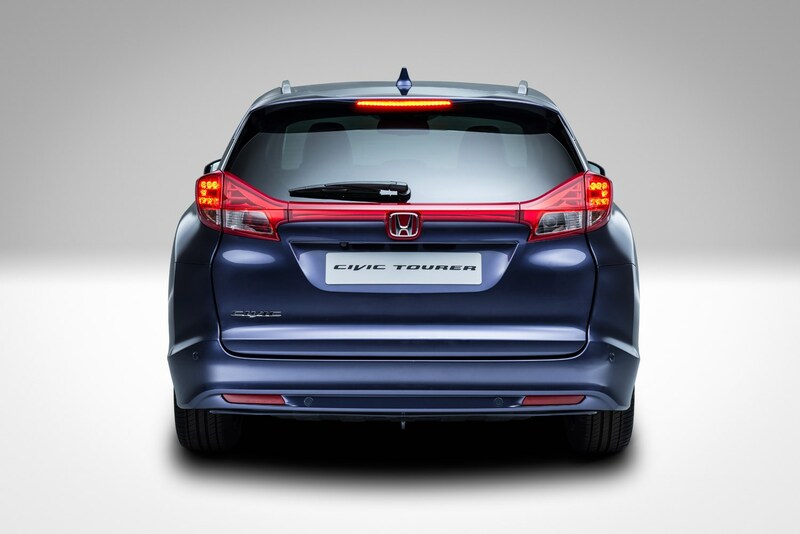 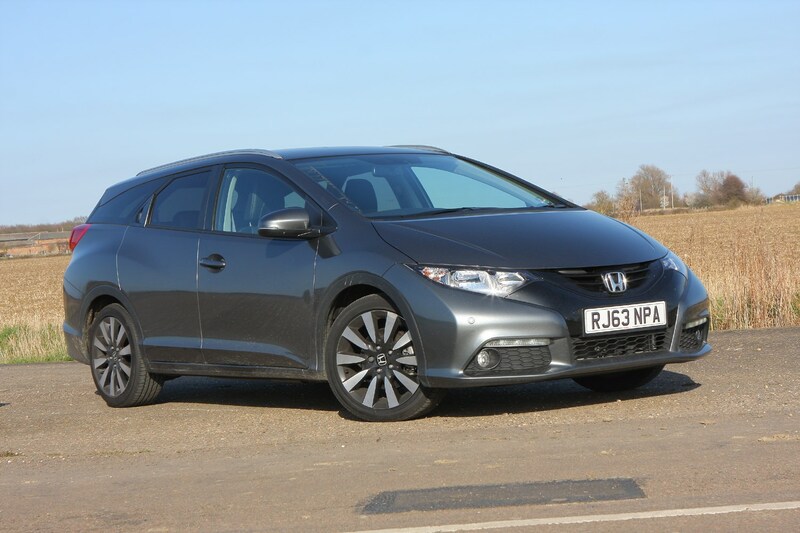 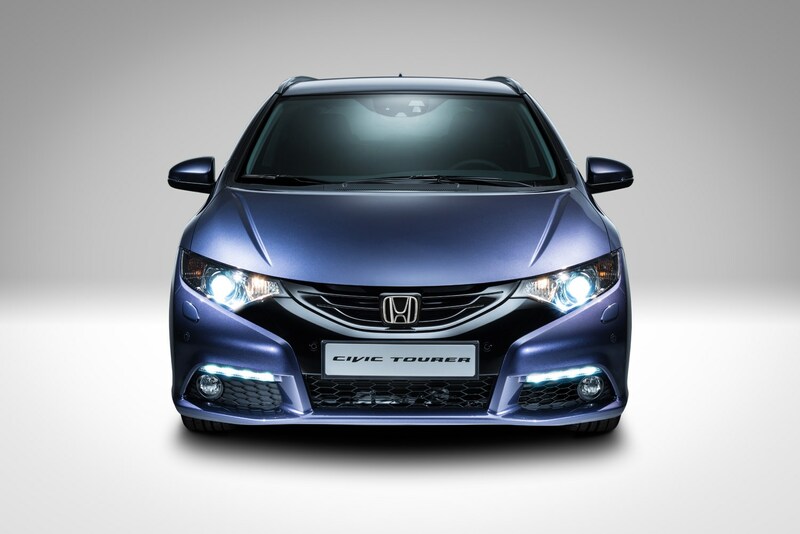 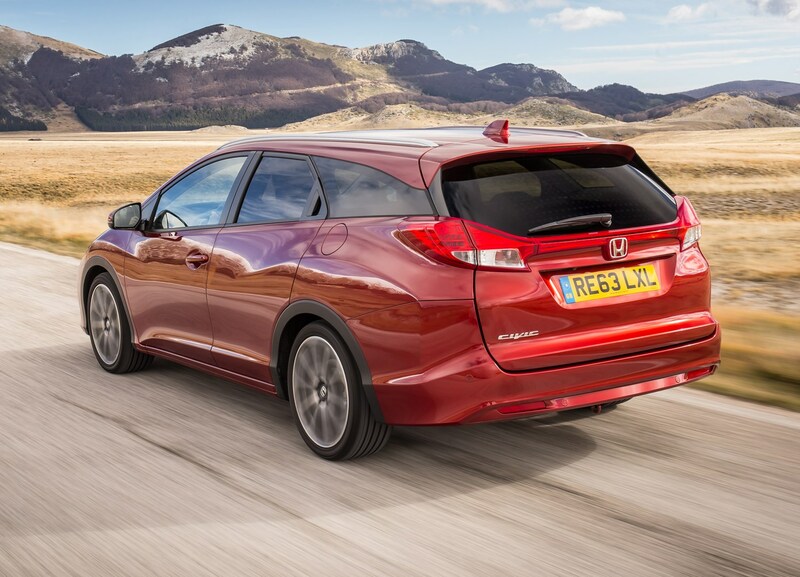 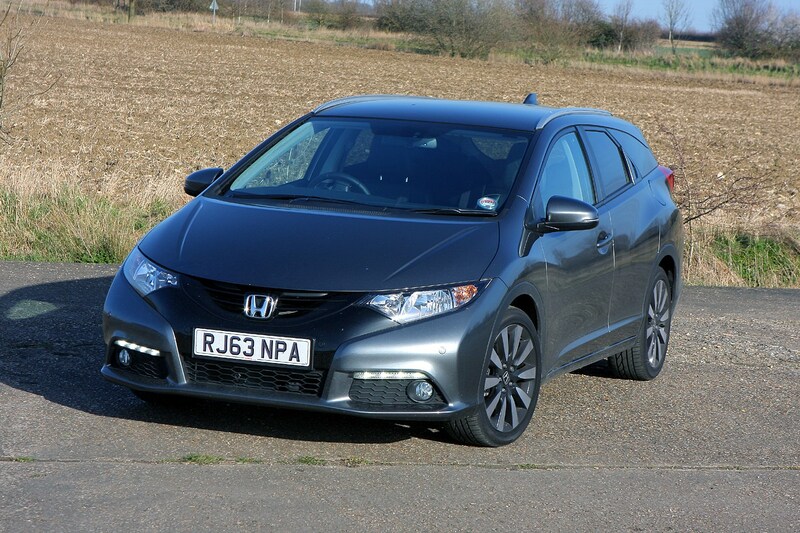 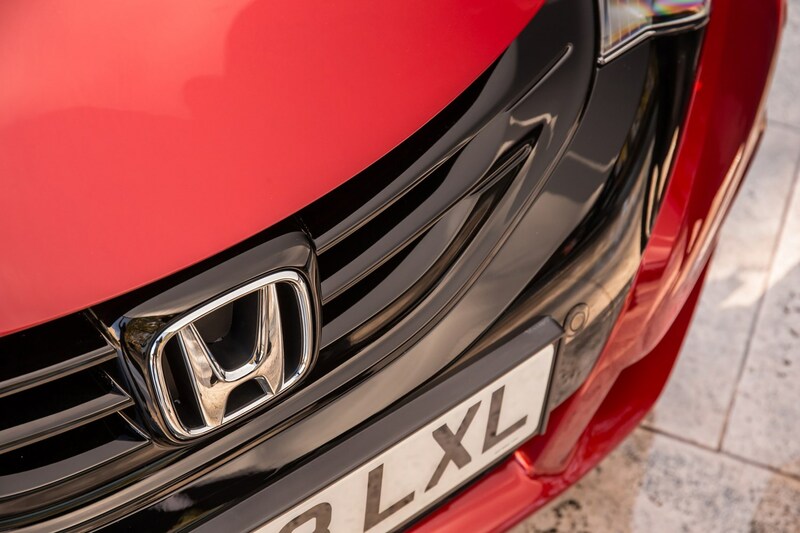 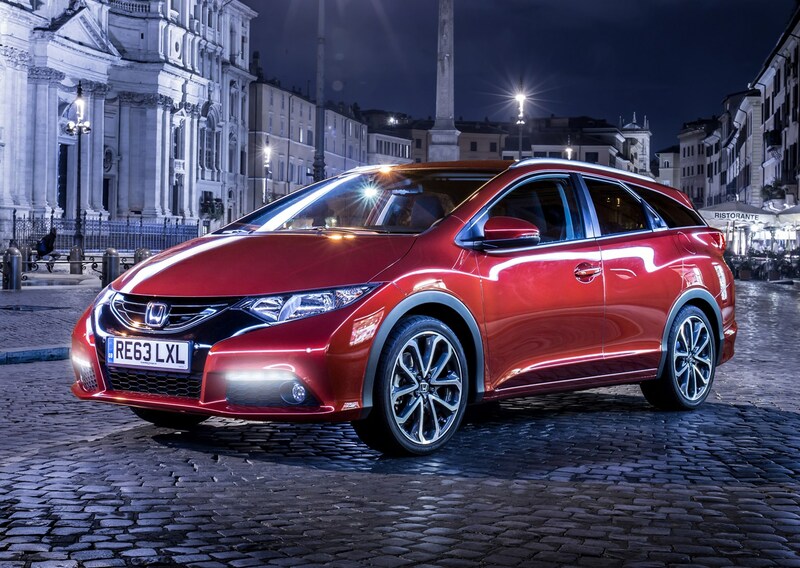 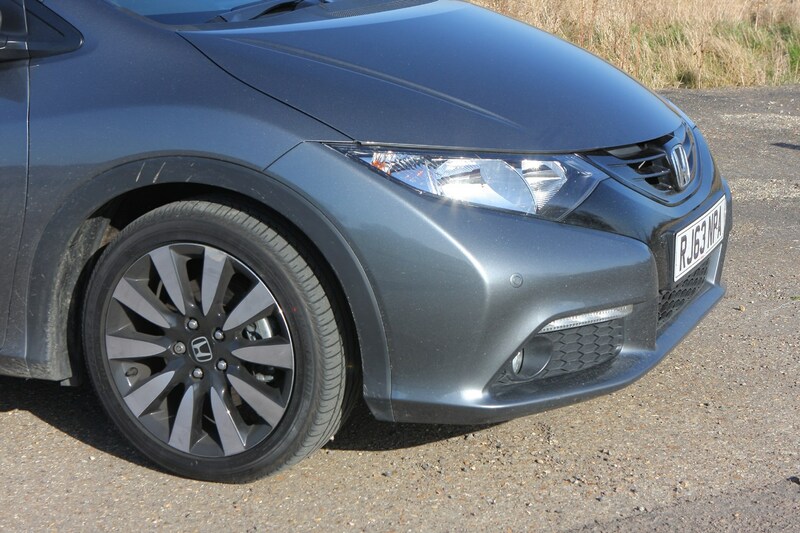 The Tourer is expected to make up around a quarter of all Civic sales in the UK. 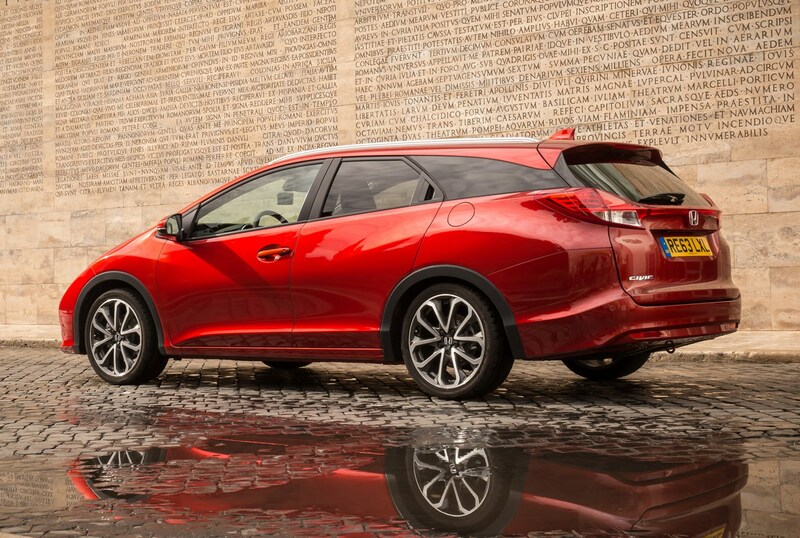 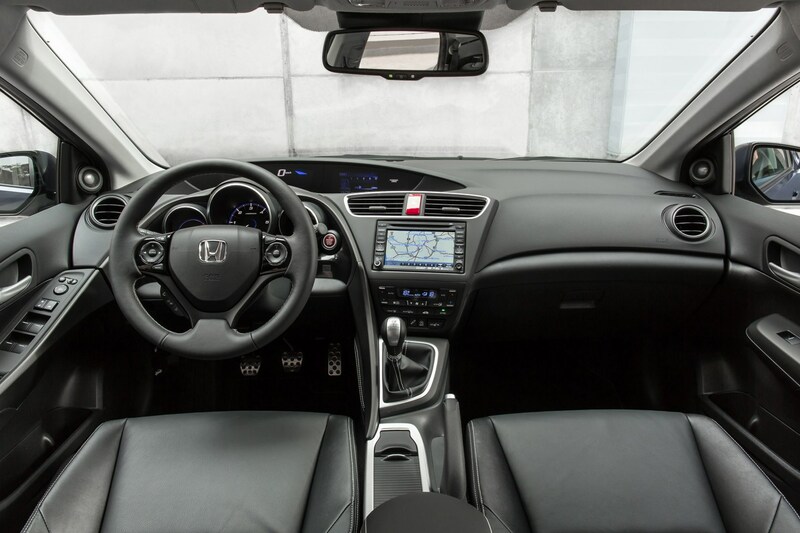 For everything you need to know, click through the categories at the top of the page for the full Honda Civic Tourer review.